My oldest child and I just saw The Hunger Games. I have to admit, that I avoided reading this series for four years, because I had previously read The Road, by Cormac McCarthy. After that dark, disturbing story of a father trying to keep his young son alive in a post-apocolyptic world, I didn't think that I could read another novel set in a dystopian society. However, when your own child urges you to read a series that they are devouring, it's hard to say no. 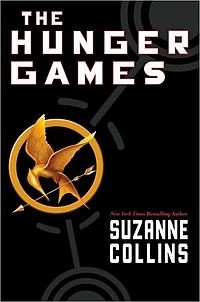 So I read The Hunger Games, and loved it. I couldn't wait to see the movie, and even bought tonight's movie tickets in advance to ensure that it wouldn't be sold-out. And although the movie received mixed reviews, we both thought it was a pretty faithful adaptation and would recommend it to friends.